Dr. Bo Pan completed his Ph.D. from China Agricultural University, Beijing, China. 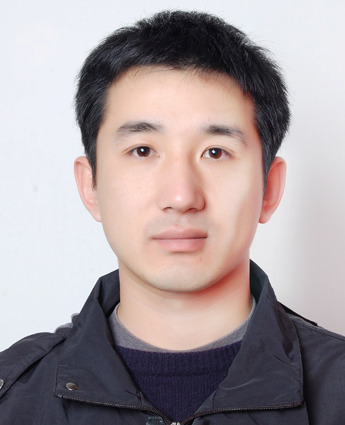 He worked as a research assistant in the department of Antibody Engineering and Immunology, State Key Laboratory of Pathogen and Biosecurit Beijing Institute of Microbiology and Epidemiology, P R China. He has numerous publications in peer reviewed journals, book chapters, book editing, journal editorial boards and reviewer. In research, he focuses on the pathogenesis of Prion disease, Neurodegenerative diseases, Rabies, Encephalitozoonosis and Avian influenza disease. Currently he is a postdoc of the department of Basic Biomedical Science, University of South Dakota, USA. 1. Yaoqian Pan, Jihong Wang, Ammara Abdullah, Lei Zhang, Yongyao Fu, Jin Wang, Fangfang Qiao, Yigang Tong#, Bo Pan#. Immune of the central nervous system and alteration of microglia play a vital role in Alzheimer’s disease. Neuron. 2016. 2. Lei zhang, Bo Pan, et al. Mifepristone increases mRNA translation rate, triggers the unfolded protein response, increases autophagic flux, and kills ovarian cancer cells in combination with proteasome or lysosome inhibitors. Molecular oncology. 2016, 10(7): 1099-1117. 3. Yaoqian Pan, Ruiying Liu, Erin Terpstra, Yanqing Wang, Fangfang Qiao, Jin Wang, Yigang Tong#, Bo Pan#. Dysregulation and Diagnostic Potential of microRNA in Alzheimer’s Disease. Journal of Alzheimer’s Disease. 2015, 49(1): 1-12. 4. Yaoqian Pan*, Liying Sun*, Jihong Wang, Wenzhuo Fu, Yongyao Fu, Jin Wang, Yigang Tong#, Bo Pan#. STI571 protects neuronal cells from neurotoxic prion protein fragment-induced apoptosis. Neuropharmacology. 2015, 93: 191-198. 5. Bo Pan*, Lifeng Yang, Jin Wang, et al., c-Abl tyrosine kinase mediates neurotoxic prion peptide-induced neuronal apoptosis via regulating mitochondrial homeostasis, Molecular neurobiology, 2014, 49(2): 1102-1116. 6. Yaoqian Pan*, Bo Pan*, Xingyou Liu, et al., Dicer and Its miRNAs are Necessary Gene and Regulatory Factors for Differentiation and Proliferation of Vascular Smooth Muscle Cell. Progress in Biochemistry and Biophysics, 2014, 41(12): 1255-1264. 12. Pan Bo*, et al., Establishment of standard curve for mouse Bax gene recombinant plasmid using Real-time PCR, progress in veterinary medicine, 2013, 34(12): 64-68. 13. Pan Bo*, et al., Establishment of standard curve for mus musculus Foxo3 gene recombinant plasmid using Real-time qPCR, Chinese Journal of Veterinary Medicine, 2014. 14. Pan Bo*, et al., Construction and identification of an experssing vector for a large human naive phage antibody library, Journal of Capital Medical University, 2012, 33(5): 647-652. 15. Pan Bo*, et al., Phage antibody library technology and its application, Letters in biotechnology, 2010, 21(4): 579-584. 18. Chief editor: ã€ŠPrimary Atlas of diagnosis and therapy of Swine diseaseã€‹3nd. 19. Associate editor: ã€ŠColor Atlas of diagnosis and therapy of Swine diseaseã€‹2nd. 20. Associate editor: ã€ŠPrimary Atlas of diagnosis and therapy of Swine diseaseã€‹2st. 21. Editor: ã€ŠColor Atlas of diagnosis and therapy of dairy cattleã€‹1st. 22. proofreading and revision: ã€ŠDiseases of Sheepã€‹ 1st, ã€ŠVeterinary Pathologyã€‹ 5th, ã€ŠDiseases of Swineã€‹ 10th. 5. c-Abl tyrosine kinase mediates neurotoxic prion peptide-induced neuronal apoptosis and its mechanism. No: 31272532. Grant Role: Participant. 6. Research and product development of molecular diagnosis technology for zoonoses revelent to tuberculosis, brucellosis, chlamydia infection. No: 2012AA101302. Grant Role: Participant. 7. Development of humanized anti-avian influenza virus H5N1 secretory cocktail IgA. No: 2009AA02Z111. Grant Role: Participant.